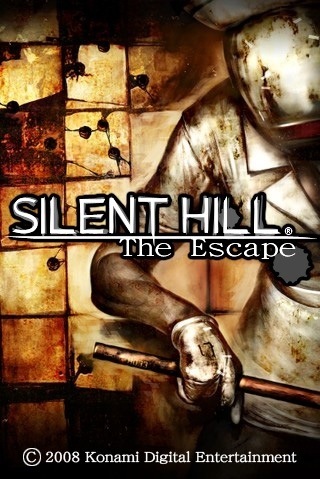 Silent Hill: The Escape is a Silent Hill spin-off game, featuring first-person-shooter style gameplay. It has been made available for download in America through iTunes, but is only playable on the iPhone and iPod touch. 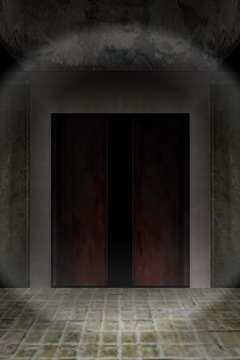 As it is designed for mobile phones, The Escape is a simply designed shooting game, where the player walks through hallways trying to find the exit to the level he or she is on. Looking is done (limited to a certain range) by tilting your phone, and movement by sliding your finger anywhere on the screen. Turning is limited to 90 degree turns. 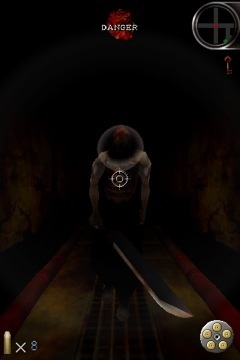 Enemies die by one gunshot to their weak spot, aside from the Pyramid Head-like monsters, who take multiple shots and are protected by a moving shield. Once your bullet count has reached to zero, you will no longer be able to use the gun. The player than has to attack by using a steel pipe. When using the steel pipe, the player must touch the screen in order to build up strength, a gauge will then appear building up with strength. Once the gauge is full, the player can then release to attack. The game ends, once the player is touched by a creature. 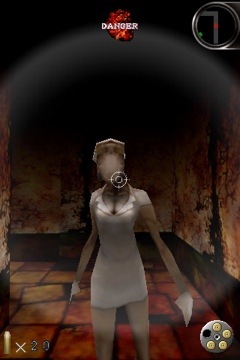 The game’s mechanic utilises the IPhone/IPod’s gyroscope, in which players can tilt the phone to look around at their current position. The protagonist’s firearm is a revolver, and as such requires reloading after 6 shots have been spent. Instead of reloading each bullet individually, the protagonist carries a speed-loader, which replenishes all 6 bullets at once. The gyroscope is utilised here as well, as the player must align the speed-loader against the bullet’s chamber accurately to reload all 6 shots; inaccurate alignment during reload means less bullets will be replenished in the chamber. And this is what it’s all about. Find the key and get to the exit!